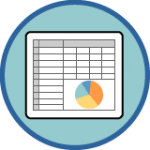 From an IntelliSurvey topline report, you can export into fully editable Excel files. These files contain links back to the original data source. That means that you can export a file, adjust it, and then upload it back to IntelliSurvey’s saved reports. From there you can schedule the file to be emailed to you at various times, updated to include the latest data. You can also return to the saved reports area and re-run the file at any time you please, with different data cuts if you like. Like the Excel exports, the PowerPoint files generated from IntelliSurvey are fully customizable. That is, the charts are not just static images, but rather full Excel and PowerPoint charts. 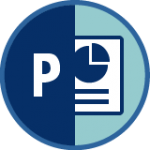 So you can update your PowerPoint files to include your company colors, logo, and whatever additional slides you need. You can then upload those files back to IntelliSurvey, and use them as templates for later downloads. Use the screencast link above to watch a live demo, or contact us for more details! To learn more, please click above and get in touch!